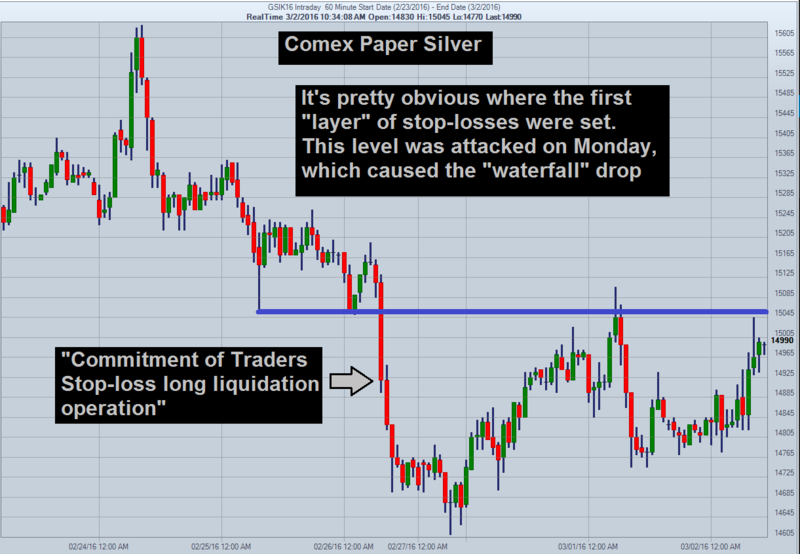 The chart above is the July Comex paper silver. From 8-9 a.m. EST, 21,922 silver contract were dumped on the Comex. This represents 109.6 million ozs of silver – roughly 13% of the total amount of silver produced my silver mining annually. It also represents 40% of amount of physical silver allegedly held in Comex silver vaults as reported by the vault operators (primarily JP Morgan, HSBC and Brink’s). Friday was by far the largest volume day for the July contract going back to late April, when July became the “front-month” contract for silver. The same dynamic occurred in gold on Friday. 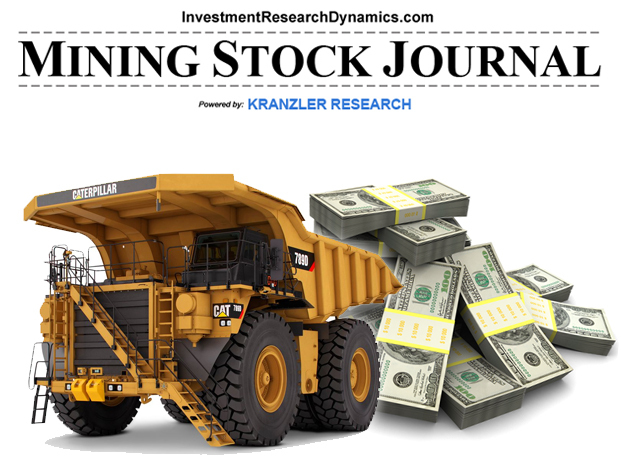 I recommended Arizona Mining in May 2016 at $1.26 to my Mining Stock Journal subscribers. It was acquired today for $1.3 billion, or $4.65/share. 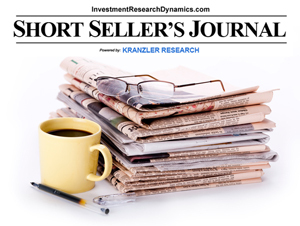 Visit these links to learn more about the Investment Research Dynamic’s Mining Stock Journal and Short Seller’s Journal. The elitists’ bid to rig the BREXIT referendum failed. Notwithstanding a continuous flow of propaganda sponsored by the elitist-controlled mainstream media showing that the Remain vote win, the public’s voice in England prevailed. As I suggested yesterday, the BREXIT pandemonium deflected the public’s attention from the collapsing western economies. The most prominent sign of this is the Fed’s unwillingness to raise interest rates just one-quarter of one percent. Today’s durable goods report showed a 2.2% plunge in durable goods orders during May. A drop of .5% was expected. This 17 months in a row of year over year declines in “core” durable goods orders. Freight shipments represent the “pulse” of an economic system. The Cass Truck Transportation Index is in a literal free-fall. The boost in the U.S. dollar vs. most global currencies will undermine any uptick in export activity that was preliminarily reported for June. The alleged 4.9% unemployment rate shoved down our throats by the Government and Janet Yellen is belied by the fact that the percentage of working-age people in the U.S. is at its lowest point since the late 1970’s, a time when most households were still one-income in nature. Perhaps most at stake for the elitists is the paper war on gold and silver that intensified when the metals threatened to go parabolic in 2011. But there is evidence that the paper rigging scheme is failing. To the extent that a BREXIT event undermines the euro, one of the collateral consequences for the elitists is that it will hasten the conversion of fiat currencies into physical metal. But there’s a problem. The most glaring evidence of this problem is the catastrophic issuance of Comex paper silver claims on a shrinking pile of physical silver in Comex vaults. Since January 20th there’s been a stunning decline in reported Comex silver inventory. Currently, the amount of paper silver contracts issued on the Comex represents over one billion ounces of silver. This is more than seven times the total amount of physical silver reported to be sitting in Comex vaults. It’s 45 times more than the amount of “registered” (available to be delivered) silver on the Comex. It’s 25% more than the annual global production of silver. I discuss this issue in the latest issue of the Mining Stock Journal, which was released yesterday (Thursday). I present another junior mining stock idea that has still not been discovered by the mainstream mining stock analysts and purveyors of research. 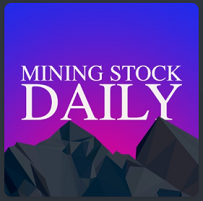 You can access the MSJ here: Mining Stock Journal. New subscribers will receive a copy of all of the back-issues plus a discount link for the Short Seller’s Journal. India’s silver bar imports jumped by nearly 200% in March according to data published by India’s Gems and Jewelry Export Promotion Council – LINK. On a trailing twelve month basis (April 2016 – March 2016), India’s silver imports jumped 33% over same period a year earlier. 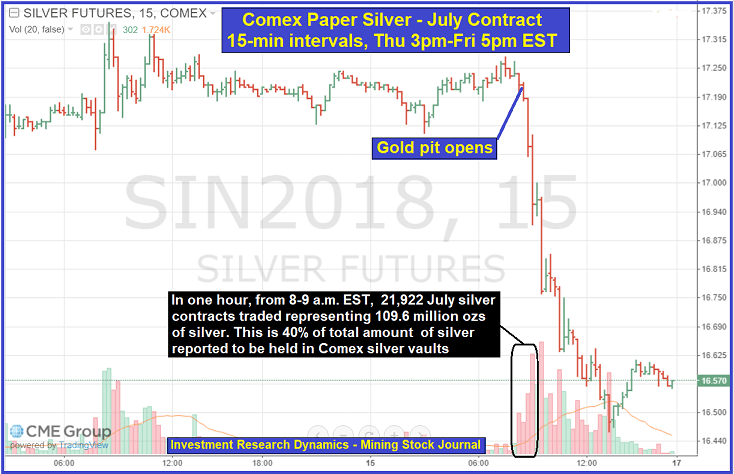 Silver is poised to explode higher in price, which is why the bullion banks have printed a record number of paper silver Comex contracts with which to throw at the market. It’s my view that this market intervention scheme, which has sustained for over three decades, is on the verge of failing. Is Silver Getting Ready To Rip Higher? The big buzz yesterday in the precious metals market was the news that Deutsche Bank has agreed to settle charges for its role in manipulating the London Bullion Marketing Association (LBMA) daily gold/silver price fixings. My view on this, albeit admittedly jaded, is that it is akin to the settlement charges being paid by the big Wall Street banks for their fraudulent behavior in the housing bubble mortgage market. Although Deutsche Bank has agreed to “spill the beans” on other banks, I have yet to hear any mention of JP Morgan, Citibank, Goldman Sachs or any number of other western bullion banks who engage in daily price intervention in the gold and silver futures market on the Comex. My view on the matter is that until I see otherwise, this is nothing more than a “we took care of the problem, move along there’s nothing else to see here” situation. DB is like a trapped felon who blinked in the game of “Prisoner’s Dilemma” and gave up a couple of names in order to let it continue forward in its endeavor to save itself from collapse. While other indictments may be doled out, I do not see this as an advancement in the effort to reform the trading activity in the gold and silver markets. After all, the banks are manipulating the market on behalf of the western Central Banks and Governments who are highly motivated in their effort prevent a sustained rise in the price of gold from signaling the west’s continued financial and economic deterioration. While the Deutsche Bank announcement may trigger some celebratory dances in the precious metals community, rest assured that for every bank removed from its gold/silver market manipulation service, they will be replaced by banks “sitting on the bench.” The “reformed” LBMA gold fix process is proof of concept. The prima facie format has been somewhat altered, as have the names involved. But it can be argued that the “reformed” price fix process is perhaps even more permissive of manipulation than the old format. It’s been my view that silver hit a bottom in mid-December when the Comex silver contract closed at $13.72. The bottom was affirmed the day that silver was instantaneously plunged down to $13.58 for the purposes of the LBMA price fix and the futures immediately thereafter snapped back over $14. That was perhaps the most audaciously blatant act of manipulation that I’ve witnessed in any market in over 30 years of involvement in all aspects of the financial markets. I also believe it was a last-ditch capitulative effort of sorts by the bullion banks. And, of course, the LBMA never did offer an explanation for the egregious price anomaly. Since mid-January the price of silver has been uncharacteristically “buoyant,” especially in relation to the price-action in gold. In general, silver outperforms gold on days when gold is being successfully manipulated lower and, in general, it outperforms gold on rally days. The graph on the left is a 2-yr daily of Comex silver. It appears to have carved out a nice bottom and it has broken out above both its 50/200 dma’s after successful “re-tests” of each. The graph on the right is 16-year weekly that goes back to the beginning of the secular bull market in the precious metals. After the big move up from 2008-2011, silver (manipulatively) pulled back a 16-year uptrend line and bounced. Whether or not this is nothing more than a short-term bounce or the start of the next big move higher remains to be seen. I have told colleagues since the beginning of the year that I won’t break out the first case of champagne until silver trades above $20 and moves higher from there. Certainly the systemic fundamentals which support much higher prices for gold and silver grow stronger everyday. Having said that, I remain firm in conviction that silver will be the best performing asset class at least through the rest of this decade. I also am growing more confident that both gold and silver are set up to make a big move higher over the next several months. The latest issue of the Mining Stock Journal was released last night. In addition to providing what I believe is somewhat unique insight on the precious metals market, I present a junior mining stock that has been overlooked by the market. After an extensive conversation with the CEO last week, I don’t think this stock will remain overlooked much longer. 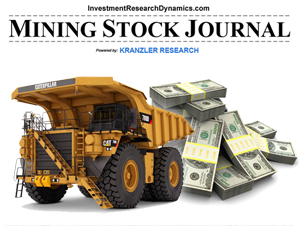 You can access this report here: Mining Stock Journal. How Much Silver Is Really Sitting In Comex Vaults? Can anyone answer the question with any modicum of certainty? All published analysis on the Comex and the Commitment of Traders reports is based on the data reports compiled and issued by the Comex bullion banks – primarily JP Morgan, HSBC, Scotia. All three of these banks have been embroiled in lawsuits and regulatory action in other areas of their business involving fraud and corruption. The COT reports originate from these banks, who operate and control the trade clearing process at the Comex. If the big banks who operate the Comex are reporting Comex Commitment of Trader and vault inventory reports accurately and honestly, it would be the only segment of their business operations for which they publish information and data that is not fraudulent to some degree, including their SEC-filed financials. I believe that bona fide Comex data reports are a highly improbable propostion. I would not bet on it. Et tu? All publicly available data used by analysts to write commentary is based on reports that are created for public consumption by the Comex bullion banks. See a problem here? Anyone? Bueller? Currently nearly every market “analyst” and chartist is calling for a big correction in the price of gold/silver based on two catalysts: 1) the big move in the metals since mid-January and 2) the massive bullion net short position in gold and silver vs. the massive net long position of the hedge funds on the Comex per the weekly COT report. Historically, a position “set-up” like this has predictably led to what I call a “Commitment of Traders stop-loss long liquidation operation” implemented by the bullion banks. The bullion banks know where the hedge funds have stop-losses set against their positions because the bullion banks are the entities that clear these trades on the Comex. When a stop-loss long liquidation operation begins, it typically lasts several days, with large “shock and awe” price drops occurring over that period. Most chart and technical analysts were issuing $14 price targets for silver last Friday. As of Monday mid-day, it looked like those forecasts were almost certain. But the current attempt by the banks to force-liquidate the long positions on the COT seems to have been stalled – at least for now. After the hit on Monday, the metals bounced back to unchanged from Friday. Yesterday, on a day when the SPX squeezed up over 2% – and the metals typically move inversely to stock market moves like that (“risk off”) – gold and silver jumped back up their pre-hit COT smash levels of early Monday morning. Another take-down attempt followed and today the metals are once again in rally mode. One wonders if Dennis Gartman and Clive Maund are scratching their heads at this point. The fact that the corrupt bullion banks on the Comex are having trouble implementing their standard procedural COT stop-loss long liquidation operation has lead me to question whether or not the Comex vaults truly have the amount of metal as reported. Yet to be noticed or commented on, the deliveries for the March silver contract so far have been unusually small. This is because the “issuers” have not yet issued very many delivery notices. Typically in a relatively large delivery month, like March, a lot of notices are issued in the first few days of the delivery period, which started Friday afternoon. Why aren’t issuers sending out delivery notices in volume right now? Currently there’s 3,440 open silver contracts representing 17.2 million ozs of silver. In the first two days of the delivery period, only 32 notices have been issued. JP Morgan and Scotia – no surprise there – have been the primary issuers and stoppers. As of yesterday, the Comex vaults were reporting 24.7 million ozs in the registered account. But are there really 24.7 million ounces of silver sitting in the registered account section of the vaults? Yesterday over 1.7 million ounces of silver was removed from the eligible accounts. None of it was moved into the registered accounts. My guess is that there might be some “Charles De Gaulles” out there who are starting to wonder the same thing as me about the amount of silver actually sitting in Comex vaults. Declining above ground inventories of physical silver and the ratio paper claims against those stocks is going parabolic. When the music stops, do you want to be holding real silver in your hand or a fraudulently-issued paper claim on silver? I happened to notice yesterday that premiums for silver eagles have been creeping higher recently. The mint is on allocation for 1 mm coins per week, I believe it is, and I’ve been told from a few sources that the mint could easily sell a lot more. I need to make a slight correction to Craig’s analysis. 2014 silver production is already used up. 70% of all silver produced is used up in manufacturing processes. The other 30% produced in 2014 is sitting in jewelry boxes across India and China or in fabricated bullion form in private investment hands around the globe. Because most silver is produced as a by-product of mining base metals, and because the world economy slowed drastically or contracted, it is likely that base metal mining production declined. It is thus likely that silver output is declining in 2015. Therefore, the open interest in silver futures on the Comex is likely even greater than the 110% of 2014 production cited by Craig. This table above is the silver trading and open interest data from Friday’s Comex trading session in silver. It includes the electronic Globex trading plus the Comex floor activity. As you can see, the total open interest moved up to 192,527 contracts. This represents 962 million ozs of silver – 110% of 2014 global silver production but likely a much larger percentage of the current 2015 global silver production. To put the 962 million ozs in context: the total amount of silver reported to be in Comex vaults is 179.8 million ozs; the “registered” and available to be delivered amount is 57.8 million ozs. Please note: the numbers reported by the Comex banks are suspect as to their validity, as banks have been successfully prosecuted for reporting fraud in other areas of their business activity and JP Morgan has been fined and censured by the CFTC for its Commitment of Traders data reporting. Based on the numbers above, the amount of naked short interest on the Comex is 904.2 million ounces, which is the amount by which the total paper open interest exceeds the amount of silver – 57.8 million ounces – that has been made available for delivery. Anyone see a problem here with the integrity of the Comex and its regulators? The amount of July open interest – 456.2 million ozs – is 7.8x greater than the registered silver and 2.5x greater than the total amount of silver on the Comex. The total open interest exceeds the registered silver by 16.6x and exceeds the total amount of Comex silver by 5.3x. This market imbalance represents first and foremost a degree of market intervention and price-setting collusion that has never been witnessed in the history of any market, let alone the history of what is supposedly a country devoted to free markets and Rule of Law. There’s a reason the Government is enabling this illegal activity to persist and to grow more extreme. I have a bad feeling that no one wants to see this reason and I have a worse feeling that we may find out this year.